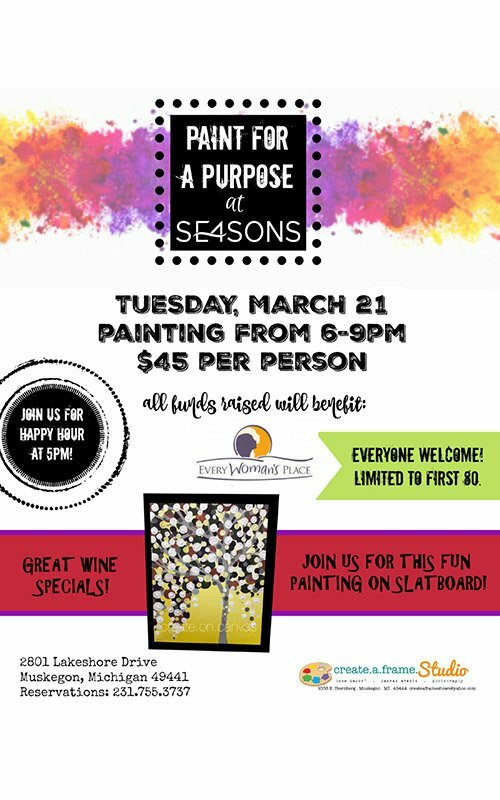 Enjoy a fun evening and Paint for a Purpose! Event cost is $45 per person and includes all materials to create your masterpiece to take home that evening. All funds raised will benefit Every Woman’s Place. Limited to the first 80 participants. Everyone is welcome! 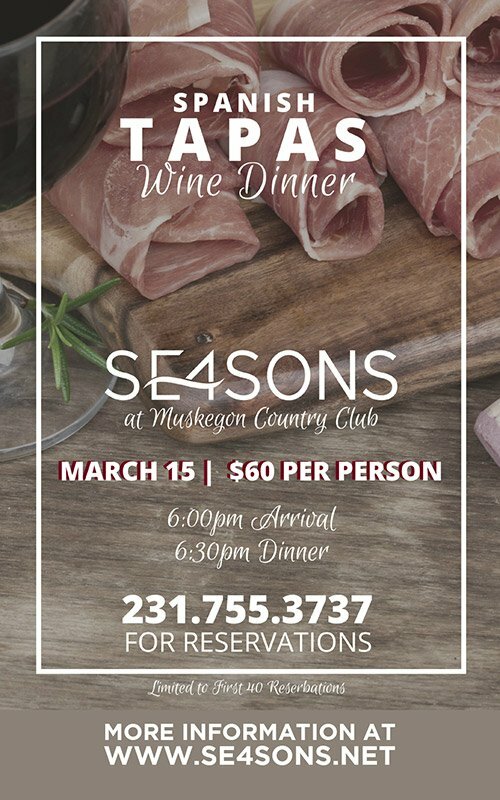 Call 231-755-3737 to sign up or for more information. Join us at SE4SONS for a great happy hour menu before you paint!